As we enter another dynamic year for the HR industry, there are still a few major gaps in the recruitment processes of many organisations. 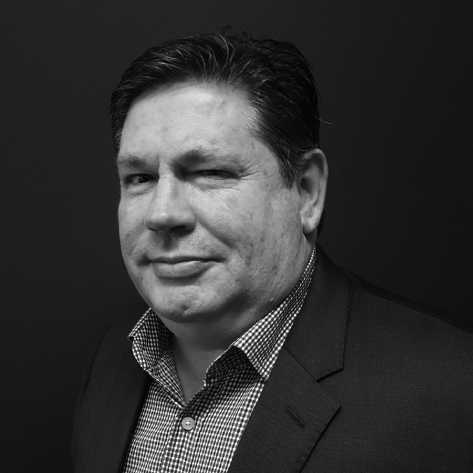 In this article Justin Miles, our Managing Partner in Melbourne, takes a look at how these gaps must be addressed moving forward. We live in a world of mass customisation of the goods and services we use every day. Product and service designers, marketers and data scientists are working together to create sophisticated ways to speak to us as individuals – so that we buy what they’re selling. Our attention span is fickle, and marketers know that they must be both strategic and active to reach us. The same paradigm shift is also at work in the world of recruitment. The notion that an organisation can operate with a single Employee Value Proposition to attract and secure great talent is now defunct. Having a big market cap or owning a “favourite” brand name does not guarantee that an organisation will be able to secure the best talent. And, as recruiters, the bigger the organisation or brand name, the harder it is to get that message across to hiring managers. We are not saying culture is not important. It “eats strategy for breakfast” as Peter Drucker says. Great working environments, work lifestyle choices and inclusion programs are essentially a price of entry to recruitment. What we are saying is that nowadays, in our world of mass customisation, if you want to secure the best performers for vacant roles you need to create a unique value proposition for each and every role you recruit. Where could I go once I’ve got this role under control? What are the leadership and operating styles of the person I’ll work for? What accountability do I have and what decisions do I make? How good are the rest of the leaders across the organisation? How well is the organisation executing against its strategic agenda? How is the organisation dealing with problem areas? What are the role’s main challenges and what autonomy will I have to combat these? The best way to prepare for these candidates is to develop a Position Description that will grab attention. The key question to ask when you’ve drafted the PD is “will the challenge and opportunity in this role be attractive to a high performer?”. Having a high impact Position Description is an important first step. However, it’s rare to find the perfect candidate for any role. A discussion needs to occur on the benchmarks for this role that are non-negotiable and the areas where some compromise could be acceptable. This includes reaching an agreement on how far you can stretch the financial package or working opportunities to secure a great candidate. It’s far better to have this conversation early on to speed up decision making further down the track. Bad communication will leave candidates feeling annoyed, frustrated and dejected. The entire recruitment process needs to prioritise the candidate experience, rather than being shaped around company needs. Engaged candidates can easily become disinterested if communication slows or is poor. Failure of process will scare away good candidates, as staying where they are becomes a safer option. A great recruitment process should consider several key factors which we’ve outlined below. Ensure your recruitment process runs smoothly and efficiently, without large gaps between meetings – or between making a hiring decision and making an offer. The longest, scariest and most awkward part of most search processes is the period of time between interviewing shortlisted candidates and making an offer to the preferred candidate. Let’s do the math. If you’ve run a good search process you’ll have between two and four shortlisted candidates. On average candidates have three interviews. So that’s something between six and twelve interviews to be coordinated in a short period of time. The more calendar blocking you do at the start of the process, the more efficiently the process will run. Leave the interview scheduling until you know the shortlist and you will inevitably struggle to get the interviews done in a manageable period. Lots of organisations rely on one disintegrated party to recruit and manage their talent, which is a big part of the problem. By aligning all departments on recruitment initiatives you can revolutionise the recruitment process. Use our interactive spreadsheet template to get started with this alignment. While recruiters can lay groundwork on the importance of the role and the opportunity it affords the right person, great candidates will want to hear it from the person they could be reporting to – the hiring manager. Great candidates will start doing their research on the hiring manager as soon as they learn their name, and in many cases before. So, make sure hiring managers have set aside enough time (at least ninety minutes per interview), have a professional LinkedIn profile and are well prepped to be positive, yet authentic in positioning and selling the role. Position the importance of the role in the context of what the organisation is doing. Ask great questions that enable the candidate to show what they can do, establish their motivation and fit, and – by the tone and energy of the discussion – make the candidate feel special. Position the role in terms of what it can do for the candidate’s career, now and in the future. Most organisations are reactive recruiters. In other words they commence a recruitment process when a role becomes open. Within that cohort there are organisations whose entire recruitment strategy amounts to advertising roles on a job board, seeing who applies, and hiring the best applicant. In recruitment terms it’s the modern day equivalent of building a marketing strategy around a TV ad, showing it for a week or two and hoping that target consumers will be paying attention at the time it comes on the TV. The assumption in posting a role on a job board is that it will have the required reach. Wrong! In posting on a job board, recruiters are only talking to the candidates who are ‘active’ in the market. We are not saying don’t advertise. We are saying don’t just rely on advertising for finding great candidates. The market of active candidates is predominantly made up of the unhappy and the unemployed. Yes, there are high performers in this cohort, but they tend to get roles quickly and through their network. It really comes down to the chance that a high performer is on the market right when you need to fill a role, will see your ad and will want to apply. The good news is that active candidates only make up about 15% of the total market. The bad news is the rest of the market is made up of passive candidates. These candidates are happy in their job, engaged with their organisations and not on the lookout but, in our experience, ‘happy to hear about an opportunity’ if it means an even more positive situation to the one they are in. The trouble is if they are not actively looking, you have to take your roles to them. This requires your recruiters to be constantly on the lookout for talent, talking to passive candidates and creating talent pools. We’ve built a modelling tool to help HR and Recruitment teams build a strategic agenda to find and develop great talent. If you want to cut your talent acquisition costs, download our Strategic Talent Management Blueprint, an interactive worksheet for developing a proactive talent management strategy. Click the image below to get your free copy.